a foil square, unusual magazine image cut outs, and a stamp from an envelope. 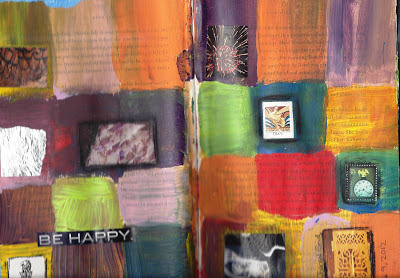 I keep a collection of interesting paper for my art journals and collages. to a magazine photo of a sunset cut into the shape of a woman's body. with interesting images and fonts for collages and journals, which is evident in all my artwork. 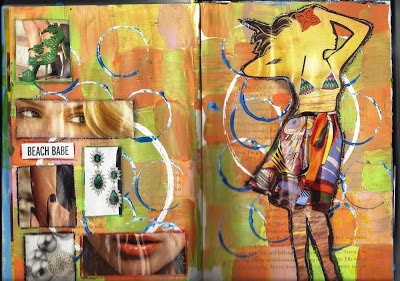 ~Cheryl Gee is keeping busy and planning ahead for a creative new year. She hopes you are as well!